Summer road trips are the stuff of legendary memories — memories you'll be sharing around the dinner table years from now with fond laughter. That is, unless the summer road trip involved a car accident. 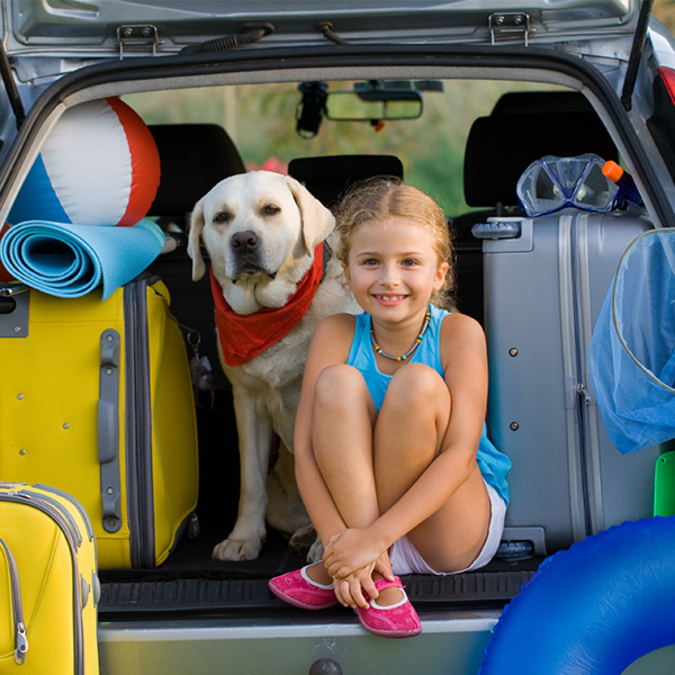 Help your family make the right kind of memories this summer with these tips for avoiding car accidents on road trips. · Pack and take along an emergency kit with roadside flares, a flashlight, a pocket knife, a tire inflator, jumper cables and a quart of oil and an empty gas can. · Check your owner's manual to be sure you're up to date on all inspections and recommended maintenance. · Perform a fluids check of your automatic transmission fluid, antifreeze, brake fluid, power steering fluid and windshield wiper reservoir. Check and possibly replace windshield wipers at the same time. · Check all lights, including headlights, blinkers, fog lights, tail lights, turning lights and interior lights. GPS has taken a lot of the guesswork out of traveling, but it's a good idea to research your route before you go, especially if you'll be driving in a different country. Check for multiple routes to your destination in case a road closure forces you to take a detour. Look for potential high traffic areas and other hazards, like mountain passes, windy roads, or areas with high heat and few rest stops. It might sound antiquated, but it could be a good idea to take a paper map with you, too. You never know when you might lose cellphone service or run out of batteries. Just let your co-pilot do the navigating for you. Vacation driving often means you're hauling more baggage than normal, including trailers with recreational vehicles, bikes on racks and rooftop luggage. These sources of added weight, width and length will impact your driving conditions. "Make sure the trailer lights are working before you load your car. ... The hitch ball should be of the right size and firmly tightened and safety chains should be present and accounted for, and capable of holding the weight of the loaded trailer," says motorists.org . "Dry or worn out trailer wheel bearings may hold the record for spoiling vacation trips." In the event you need to take a pit stop on the edge of the highway, do so safely. Pull as far off the road as you can, turn on your emergency flashers, watch carefully when opening driver's side doors, and make sure youngsters know before they get out of the car where and how to watch for other vehicles. Try to pull off on flat, straight pieces of road with no curves or hills that might obscure you from oncoming drivers. For added visibility, buy a few small, orange construction cones to put at the rear of your car. For nighttime emergency stops on the side of the highway, a road flare or two can come in handy, too. It probably won't surprise you to know the days between Memorial Day and Labor Day are considered the most dangerous time of the year for road trips. Unfortunately, because this is also the time of year the weather is nice and kids are out of school, it's often the only option for road tripping. Bactrack.com says a study by the Insurance Institute for Highway Safety found the deadliest day of the year for travel is July 4, followed by Sept. 2, Aug. 13 and July 15. To protect yourself on these busy travel days, bactrack.com suggests avoiding traveling through cities during rush hour, trying to choose days with the fairest weather for long drives and always driving sober. No matter how safely you drive, summertime trips are not without their perils. The attorneys at Ed Bernstein & Associates have more than 40 years of experience in personal injury law and understand its finer nuances. Visit the firm’s website or call (702) 240-0000 to find out how to get started on the road to recovery.